This apple cinnamon cake is fresh apples coated in cinnamon sugar then baked into a buttery vanilla cake base. A delicious fall treat that’s perfect as is or served with a scoop of ice cream on top. 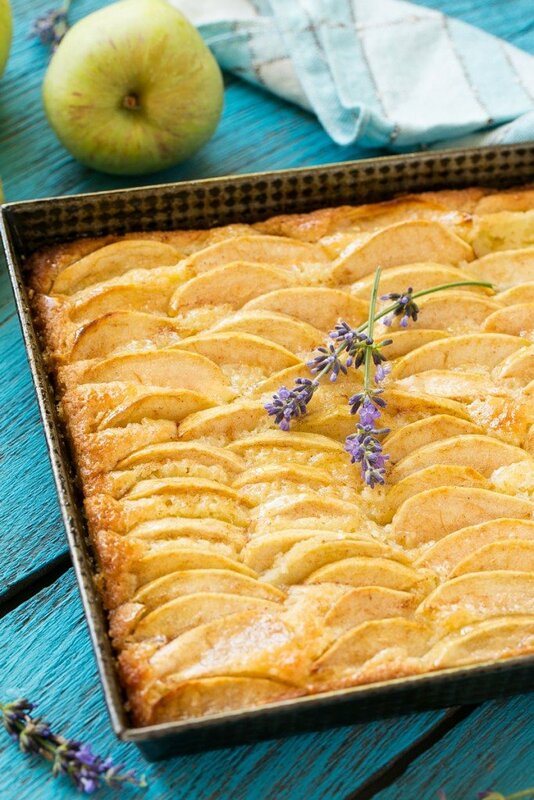 When apples are in season, apple cake is a must-make recipe. This version has a light butter cake base and is topped with a pile of sweetened apples. 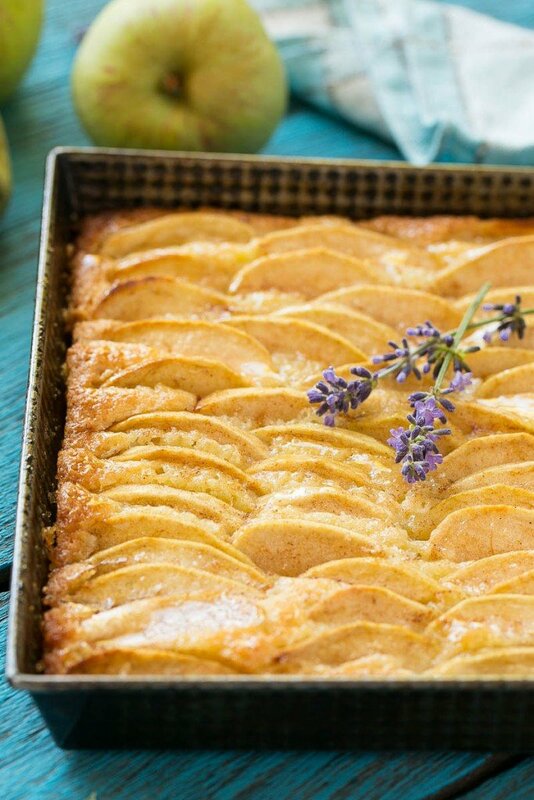 This apple cinnamon cake just screams fall, doesn’t it? Too bad it’s 105 degrees here in California. Hopefully it’ll cool off someday…like maybe in November. In the meantime, I’ll still be cooking with apples and this cake is definitely going on the regular rotation. It’s a simple, homey dessert that doesn’t require a lot of prep time but tastes like you’ve been slaving away in the kitchen. We have an apple tree in our yard, and the apples it produces are better for cooking and baking than eating out of hand. I make a lot of applesauce with a few baked goods thrown in such as this apple cinnamon honey cake. The girls have been asking to make an apple pie so we’ll have to do that soon too. How do you make apple cinnamon cake? 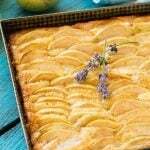 This cake consists of a simple batter which is then covered with a mass of sliced apples that have been coated in cinnamon and sugar. The apples soften and sink into the cake as they bake, making a pretty pattern on the top. After the cake comes out of the oven the top is brushed with honey. I’m going to be totally honest and tell you that I initially brushed the top of the cake with honey primarily for aesthetic purposes, but it truly adds a great finishing touch to this simple yet delicious treat. You can also add a dollop of whipped cream or a scoop of ice cream if that’s your kind of thing. The texture of this cake is almost like a blondie – think buttery blondie base topped with the amazing cinnamon sugar apples and honey. This is the perfect treat for a fall day when you want a little something sweet – hopefully your fall weather will not be as warm as my fall weather! 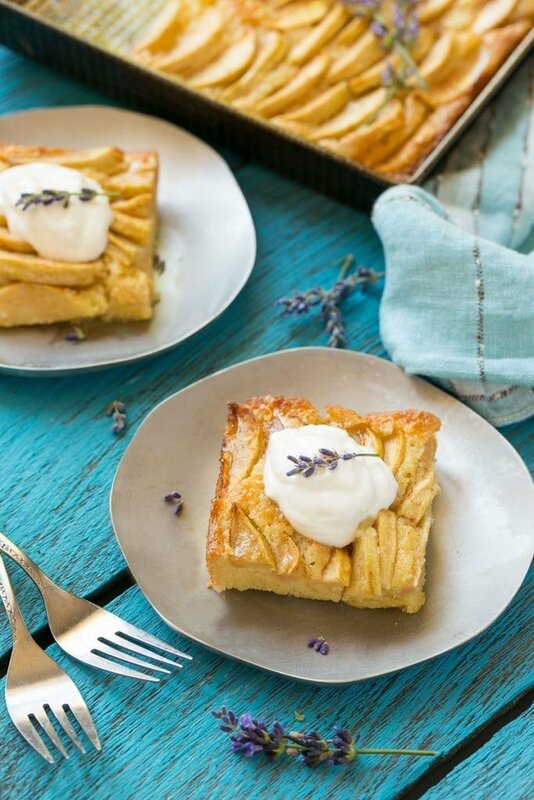 It’s also a great cake to celebrate Rosh Hashanah the Jewish New Year, where apples and honey symbolize the promise and hope for a sweet new year. This apple cinnamon cake is fresh apples coated in cinnamon sugar then baked into a buttery vanilla cake base. A delicious fall treat that's perfect as is or served with a scoop of ice cream on top. Preheat the oven to 375 degrees F. Coat an 8-inch square pan with cooking spray and line the bottom of the pan with parchment paper. In a medium bowl, whisk together the flour, baking powder, 1 cup sugar and salt. Stir in the eggs, butter and vanilla. Spread the batter evenly into the prepared pan. Squeeze lemon juice into a medium bowl. Peel, core, and thinly slice the apples into the bowl. Add the cinnamon and sugar and toss to thoroughly coat each apple slice. Arrange the apple slices on top of the batter in overlapping rows, pressing lightly into the batter. Bake for 30-35 minutes, until a cake tester or toothpick inserted in the center comes out clean. Cool in the pan on a wire rack for 10 to 15 minutes. Brush the top of the cake with the honey. Cut into squares and serve with whipped cream or ice cream if desired. Little Helpers: Let the kids toss the apples in the cinnamon and sugar and arrange the apples on top of the cake. Could you use gluten free flour to make this gluten free? I just made this at it was amazing! Perfect recipe! 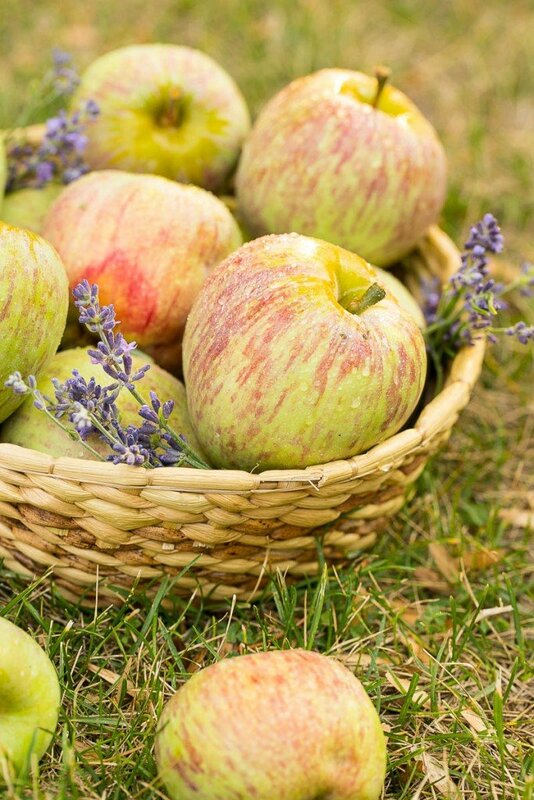 I am currently (im)patiently waiting for the apples on our two trees to ripen a little more and this recipe is not making the wait any easier! What a fantastic recipe. Wow this looks amazing! You had me at “think blondie base.” I love blondies and I love apples! 🙂 Thank you so much for sharing. You had me at “buttery cake!” This cake is definitely something I can handle, and it’s so pretty too! Love it for fall! How cool that you have an apple tree in your yard! This cake looks so delicious! I could definitely go for a slice or two! This cake is just gorgeous! 🙂 And can I just say how incredibly jealous I am that you have an apple tree in your yard?? What a beautiful cake! The presentation is just gorgeous! This needs to be the poster child recipe for the fall! One gorgeous looking cake for sure! 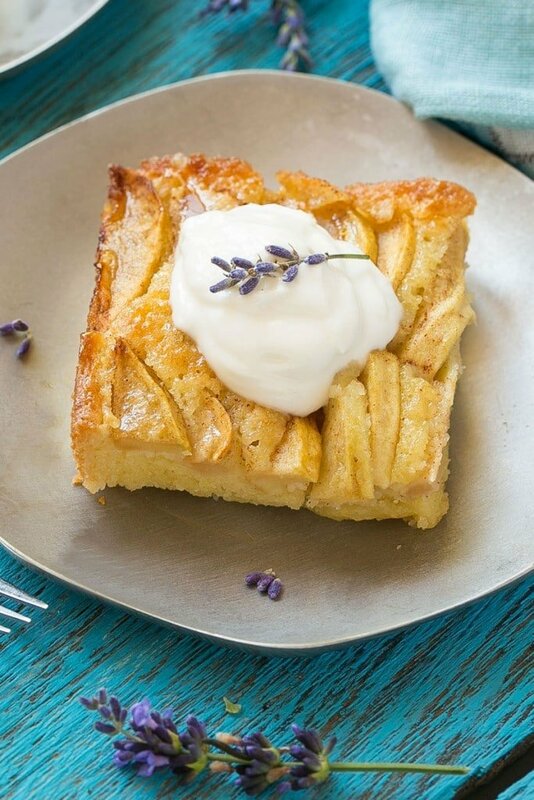 This Apple Cake is gorgeous! That cake is just beautiful! My sister always gives me a ton of apples in the fall from her tree so I do a ton of baking and applesauce making every year with them too! This cake will have to go on the list! I think apple + cinnamon has to be one of my favorite flavor combos ever. These look amazing and perfect for fall. Pinning! 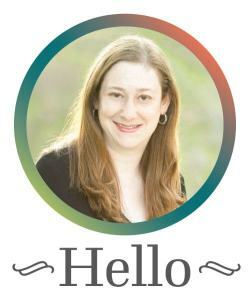 Omg Sara, this looks and sounds AMAZING!! Like, this may be one of the prettiest cakes/desserts I have ever seen. I wish I could have a piece with my morning coffee! WOW this is a beautiful cake! Perfect way to use up those fall apples. This is so beautiful! I love it-it’s the ultimate autumn recipe!